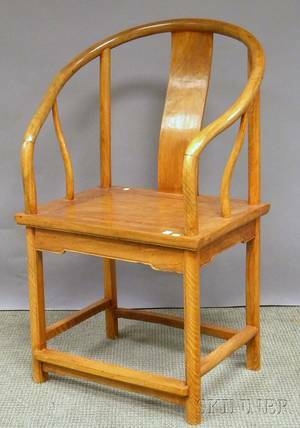 Realized price for Chinese Hardwood Yoke-back Chair. 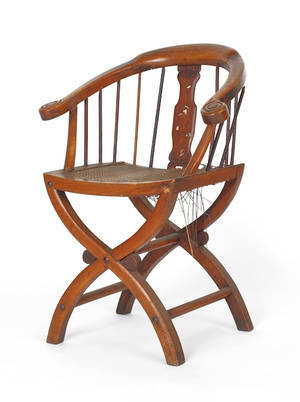 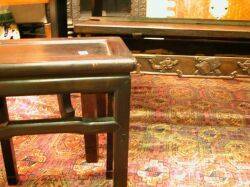 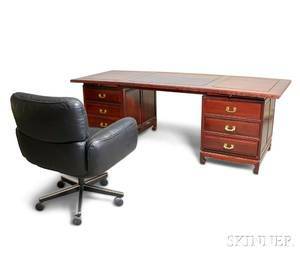 Archived auctions similar to Chinese Hardwood Yoke-back Chair. 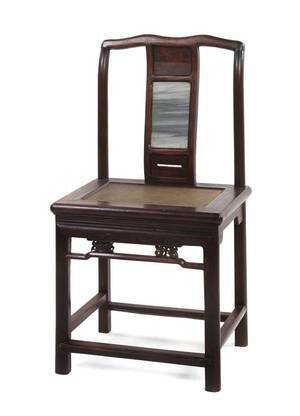 Chinese Pewter Inlaid Carved Hardwood Folding Chair and a Chinese Export Marble-inset Hardwood Low Table. 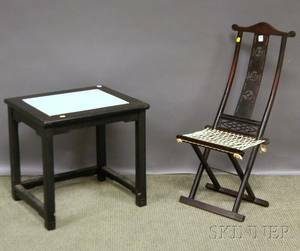 Chinese Hardwood Swivel Desk Chair Peter Kramer Painted Table and a Childs Bamboo High Chair. 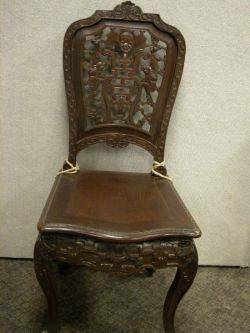 Chinese Export Inlaid Carved Hardwood Side Chair. 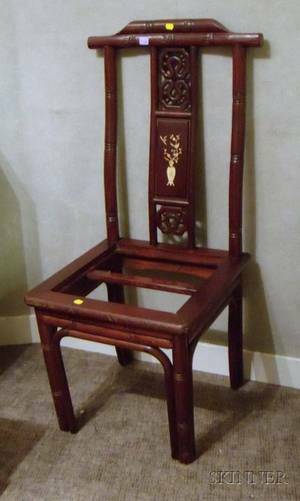 Chinese Carved Hardwood Side Chair. 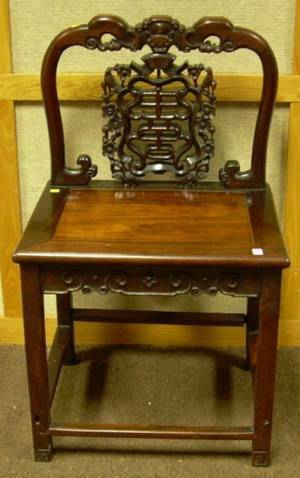 Three Chinese Hardwood Stools and an Ebonized Carved Wood Side Chair.